For many Americans age 65 and older, dental care is a necessity that they cannot afford. Some older adults live on Social Security benefits of just $850 per month. Unfortunately, the cost of dental insurance and associated copays are just too expensive with this limiting budget. Additionally, the link between ageism and dental care means the care seniors receive is less than what they require. As a result, seniors live with cavities, cracked or damaged teeth, and periodontal disease. Some seniors will turn to the emergency room for help while others may rely on over-the-counter remedies, or perform their own tooth extractions. Dry Mouth Syndrome is common in older adults. Caused by over 400 medications, severe dry mouth can contribute to cavities, mouth sores, infection, and difficulty swallowing. Periodontal disease causes the gums to become red and swollen. Over time, the gums may separate from the teeth, and bone, tissue and tooth loss may occur. The inflammatory processes associated with long-term periodontal disease have been linked to dementia. Ageism is a term that refers to stereotypes assigned to older adults. Typically, ageism results in unequal access to medical prevention, detection, and treatment. For example, seniors receive fewer screenings for colorectal cancer, skin cancer, and osteoporosis than younger people. Even taking into account balancing the stress of the procedure on an older person, there is still a disproportionate imbalance in care. This is also troubling because the senior population is at greater risk for these diseases. Ageist beliefs are a major factor in the inadequate provision of dental care for long-term care residents. Studies found that nursing home administrators believed that dentists were reluctant to see older residents, while the dentists felt the staff did not reach out for dental consultation often enough. A survey of over 300 dental students found that a significant number believed older adults are less vital, less adaptable, and less likely to actively pursue goals than younger patients. There are not enough geriatric-informed treatment standards. There is also call for better education among dental providers, caregivers, families, and patients. 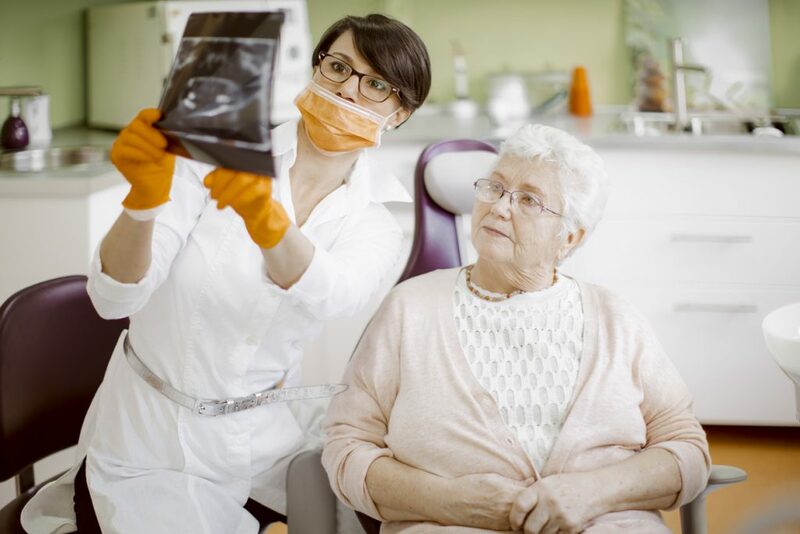 Research shows that when dental hygienist students and dental students have an opportunity to work directly with seniors, negative stereotypes towards this group are reduced. Several resources are available to seniors who struggle to pay for dental care. Some dental hygienists can see older adults in their homes or at care facilities. This ensures cost-effective preventative care. Address dry mouth by encouraging the use of over-the-counter rinses, pastes, sprays, and lozenges. All of these simple remedies will help lubricate the mouth. Caregivers must ensure their own safety when assisting agitated clients with oral hygiene. For some patients with dementia, small brushes or oral foam swabs may work best. Give dental hygiene its due focus. Devote at least 2 minutes to brushing teeth each day. Dental health is of utmost importance to seniors. The rising tide of ageism makes it difficult to ensure all seniors are receiving proper care, but David York can help! For more information about David York Agency’s qualified, compassionate caregivers, please contact us at 718.376.7755. If you’d like to hear more from us, please like us on Facebook or follow us on Twitter, Google+, or LinkedIn.